So only .75% of all the water on earth is usable by humans and that water is caught up somewhere in what we call The Water Cycle. You can study the above diagram, taken from the USGS web site, and follow the path of water as it travels through the water cycle. Most of the terms are common and self explanatory. According to the Salinity Management Guide, "evapotranspiration is the sum of evaporation from the land surface plus transpiration from plants. Precipitation is the source of all water." So, ALL of the usable water is caught up somewhere in the water cycle. But, not all of it is actually available for use at any one moment. Some water is in snow and ice, some in clouds, some in soil moisture, some in ground ice and permafrost, and….well you get the idea. Green Plumbers™ USA estimates that 0.25%-0.30% of USABLE water is actually available at any one moment for human use. Of course, this is an estimate. Water, water everywhere and not a drop to drink. There may be more truth to that statement than we think. About 70% of the Earth is covered by water. So one would think there is plenty to go around. And, it appears that more water just keeps on coming. It rains-more water. The rivers flow-more water. Wells get drilled-more water. Why, water just keeps coming and coming…there is so much of it and nature seems to keep making more! About 97.5% of the water on earth is saltwater stocks. That is to say it’s either in oceans, saline/brackish groundwater or saltwater lakes. That leaves about 2.5% as fresh water. Now, 70% of that freshwater (1.75% of all water) is in glaciers, snow cover or otherwise frozen elsewhere. That leaves approximately 0.75% of all the water on the earth as fresh groundwater. 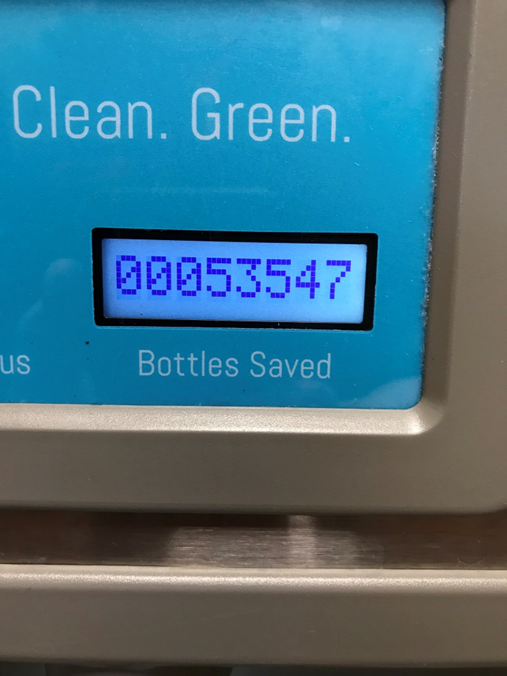 That is, only 0.75% of all the water on the earth is usable by humans. Stay tuned, tomorrow I'll talk about The Water Cycle.